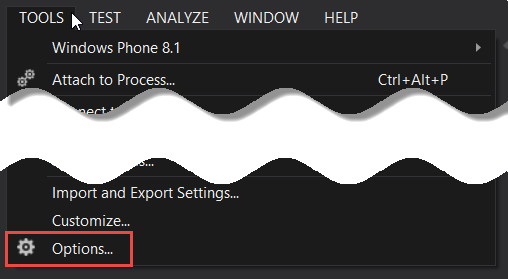 Within Visual Studio line numbers are not enabled upon the first install. This wiki will show you how to enable them for C# and any other language. 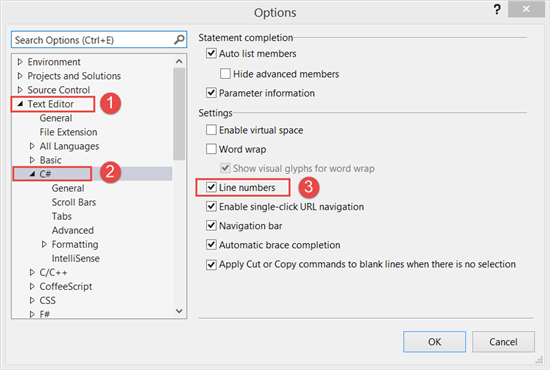 The steps listed are for Visual Studio Community 2013 edition but are transferable to all newer versions of Visual Studio. In the Options dialog, click Text Editor and then C#. Click the Line numbers check box. Note: Clicking the language name is the same as clicking the General menu item. 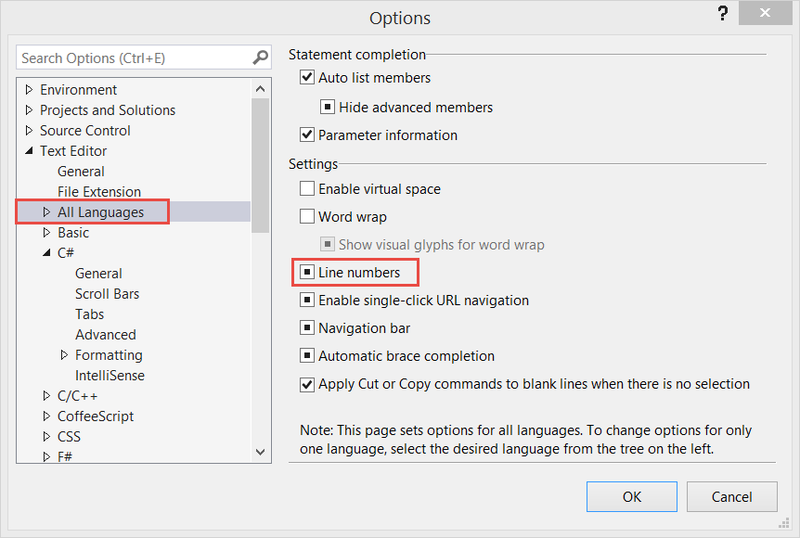 If you wish to set line numbers for other languages select the language name and click its Line numbers check box. To modify every language installed, click Text Editor > All Languages. The Line numbers checkbox will have a small box inside it. This means that only some languages have their Line numbers check box selected. Now, when you open a .cs file you will have line numbers down the left side. As well, since line numbers now appear in the file you can use the Go To feature within Visual Studio. 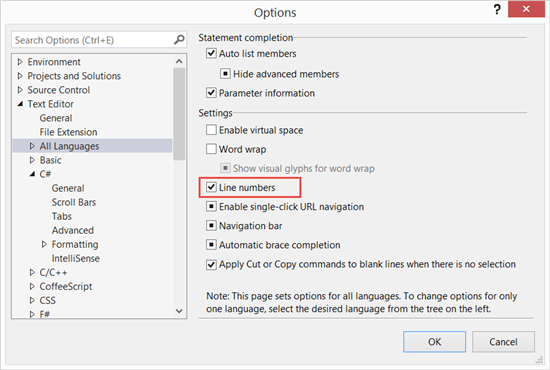 This will enable you to move the cursor to any line by its number. 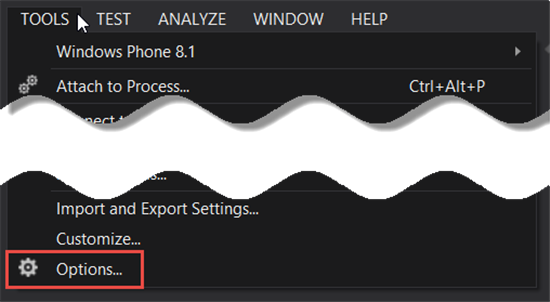 The line number for the current cursor position will be listed in the bottom toolbar (see image above). To enable the Go To option, click Edit > Go To or type the short cut Ctrl + G.